1. What personal information do I collect? To know who you are so that I can communicate with you. Verify your identity so that I can be sure I am dealing with right person. Deliver a service to you under the terms of an agreed clinical contract. Contact you, should I need to share information. I would only do this where there is a concern regarding a risk of harm to you or others or under other specific circumstances as outlined in this policy. Your name, date of birth and your contact details including a postal address, telephone number(s) and electronic contact such as email address. Information required to deliver a clinical service to you under the terms of an agreed clinical contract. This includes GP name and contact details, your background history and information relevant to your attendance to see me. I may also collect information about you from third parties; for example, if I need to gather information from another health professional (such as your GP) to complete a clinical assessment. I would only do this with your consent. To communicate with you so that I can inform you about your appointments with me. I use your name, your contact details such as your telephone number, email address or postal address. To deliver an effective service to you, I will use your name, your contact details and the details gathered at your initial assessment appointment. I use written notes taken at the end of each session to record attendance and to provide an effective service to you. This is in line with guidance from my regulatory body (HCPC) and professional organisation (BPS). 3. Where do I keep your personal information? Mobile phone storage: I may keep your mobile or other contact telephone number stored in the memory of my mobile phone. This would be for contacting you at short notice should the need arise. Only your first name is stored. The mobile phone I use is pin protected. 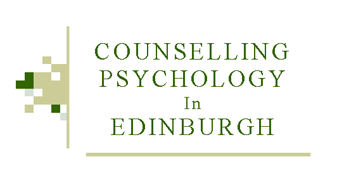 I retain your psychology file/notes for 7 years in accordance with guidance issued by our professional body, the British Psychological Society. After this time, I will shred your file/notes and delete any electronic copies of reports relating to you. 5. Who do I disclose your personal information to? If psychological reports are required I will send these to you, or to another health professional/provider or insurance company authorised by you. In addition, I may have to share data I collect if I am required to share data with the legal authorities to fulfil my obligations under Scottish law or if there is a significant risk to you or others. Under Child Protection legislation, I may be required to contact child protection services if you disclose information that indicates that a child may be currently still at risk. All reports that are sent electronically are sent as attachments that are password protected. I keep records of invoices, payments and receipts for accounting purposes. W required to retain this information for 6 years in line with HMRC requirements. After six years I delete and/or shred this information. How can I see all the information you have about me? You can make a subject access request (SAR) by contacting me. I may require additional verification that you are who you say you are to process this request. I will aim to provide you with this information within one month of your written request. I may withhold such personal information to the extent permitted by law. In practice, this means that I may not provide information if I consider that providing the information will violate your vital interests. What if my information is incorrect? Please contact me. I may require additional verification that you are who you say you are to process this request. If you wish to have your information corrected, you must provide me with the correct data and after I have corrected the data in our systems I will send you a copy of the updated information in the same format as the subject access request. How can I have my information removed? If you want to have your data removed I have to determine if I need to keep the data, for example in case HMRC wish to inspect my records. If I decide that we should delete the data, I will do so without undue delay.